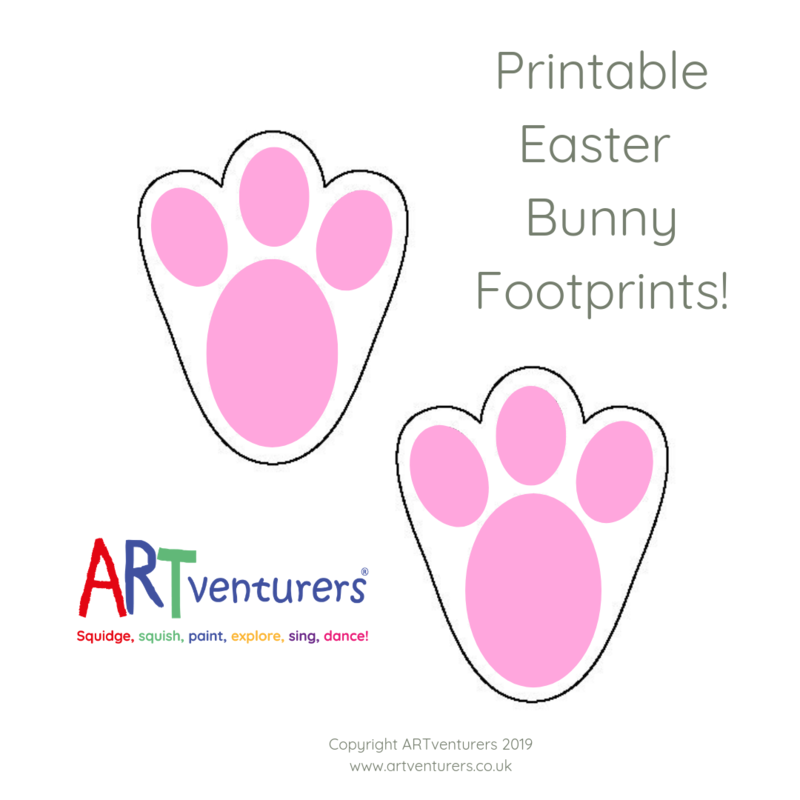 If you’re looking to create some special Easter traditions for your little ones, then Easter bunny footprints are perfect and so easy to do with our free downloadable stencil template! 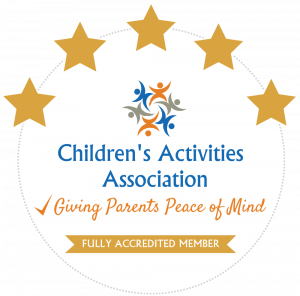 You can use this stencil in one of two ways – you can either print off several copies, simply cut out the whole footprint shape and leave them in a trail for the children to follow in the morning! OR you can cut out the pink areas too and use it as a stencil – just lay the stencil on the floor, sieve some flour over the top, lift the paper carefully and hey presto! 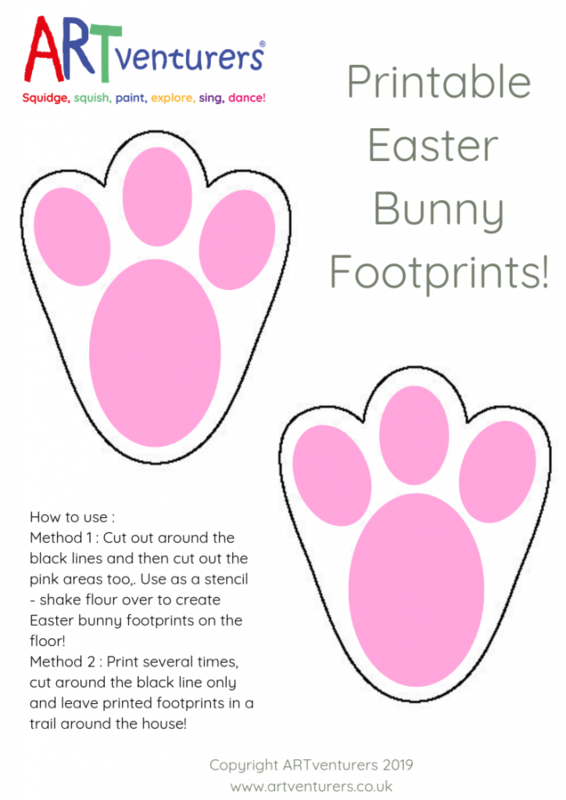 You can download our FREE bunny footprint template HERE : Printable Easter Bunny Footprints! 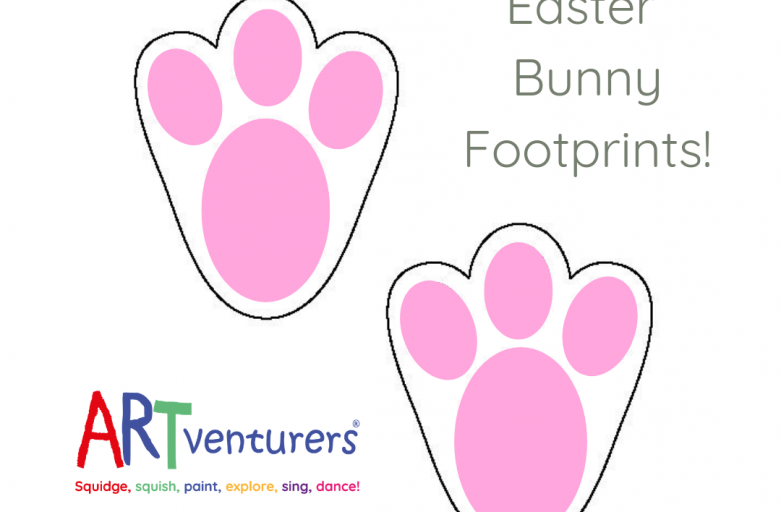 For more Easter fun – also check out our ARTventurers Printable Easter Egg Hunt! and our Ten Quick and Easy Easter Egg Decorating Ideas!